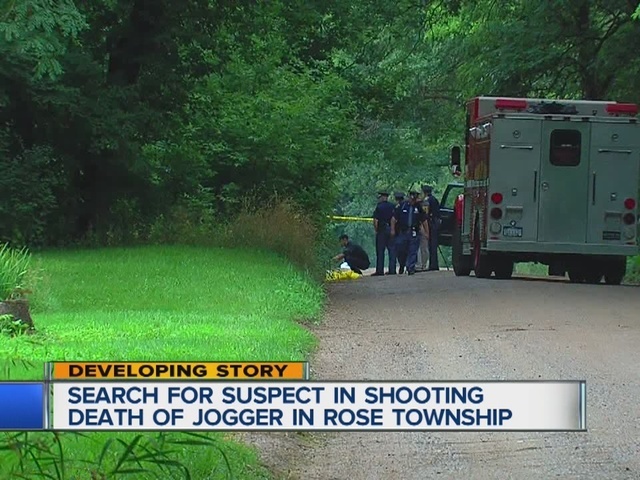 Michigan State Police say they are looking for a white or light colored sedan in connection with Saturday's murder of a woman who they say was out for a run when she was shot and killed along a rural road in Rose Township. Officials say the vehicle was on Fish Lake Road between 2 and 3:00 pm Saturday. According to police, the 31-year-old woman's body was discovered around 2:30 p.m. Saturday on the front lawn of a home in the 11000 block of Fish Lake Road in Rose Township. Michigan State Police tell 7 Action News, the woman was a runner and that’s what she was doing when someone shot her. 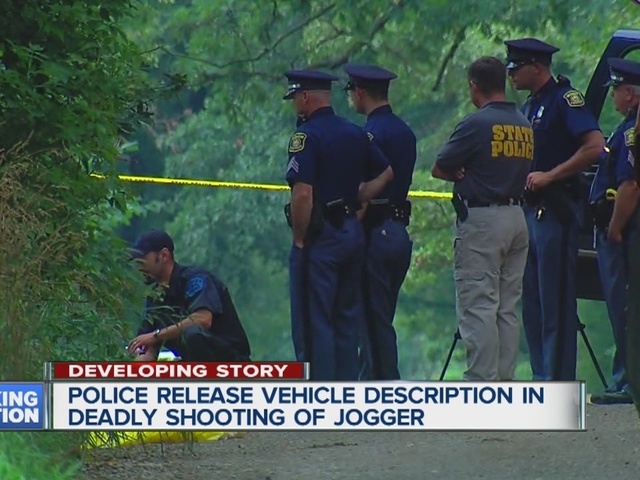 "She was a runner, talking to her family members, she runs quite a lot, there's a lot of people that use this particular road to run up and down so that's one of the reasons she goes out here talking to her family,” said Lt. Michael Shaw with the Michigan State Police. They are not sure yet why she was shot. "We've been able to conduct some evidence on the scene that is kind of pointing us in a direction but naturally we are talking to a lot of her family members, her friends and the neighbors out here to see if we can narrow down somebody that might have been she might have been having some kind of difficulties with,” said Shaw. They do not yet have anyone in custody and they have not named a suspect. Investigators are not yet saying it’s not random, but they do believe she was likely familiar with the shooter. "It appears that she probably knew the individual that was responsible for this, but for us to say for sure that would be pretty tough,” said Shaw. Shaw said they will likely release the woman’s name in the coming days. If you have any information about this shooting, please call 1-877-MICH-TIP.